To launch our new History Blog we would like you enter our 'Caption Competition'. To enter simply comment on this post with a funny caption. You can enter as many times as you like. The winner will receive a history hamper. Don't forget to comment with your name or initials and class. 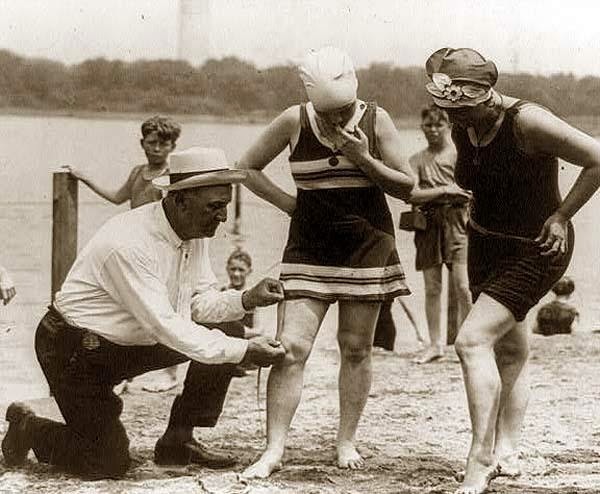 The illustration shows Bill Norton the bathing policeman measuring distance between knee and bathing suit on women, Washington D.C. Women in the 1920's were issued an order that bathing suits at the Washington bathing beach must not be over six inches above the knee. "Think its time to leg it Peggy"
"This is all the evidence i need"
"This definitely isn't going to help stop the rumours"
" Bill 6 inches off North"
" Women feel the need to go short "